A sample taken from a process pipeline or reactor should represent the exact constituents of the process without any contamination. Contamination of a sample can create incorrect test results and cause further process problems. DDPS’ range of samplers has several design features built in to overcome contamination problems and provide a true representative sample. Our range of sample dispensing options and secondary containment solutions are designed to suit the process needs of the pharmaceutical, chemical, biotechnology, food and beverage and petrochemical industries. Sampling solutions of all levels of sophistication are available from simple manual sampling to remote automated sampling and analysis systems. Toxic, flammable and corrosive media are safely sampled using systems with all wetted parts in a variety of materials of construction. 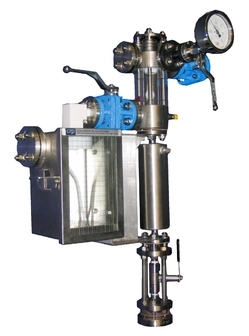 DDPS' range of inline samplers are designed to take a representative sample from a process pipeline. The sampling range includes volumetric samplers. 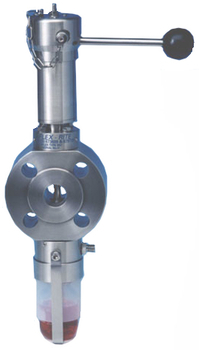 Whether the process pipeline is running horizontally or vertically we have a range of sampling valves to suit. Learn more about our inline samplers. Learn more about our surface mounted samplers. requirements of the customers existing plant. 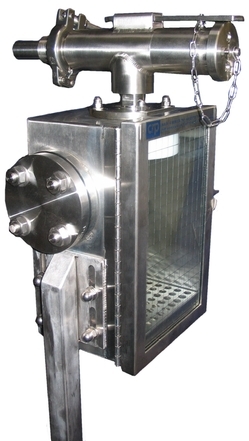 Learn more about our vessel mounted samplers. Depending on the properties and hazard risk of the sample to be taken, DDPS offers a variety of dispensing solutions that can be tailored to best suit your process requirements. 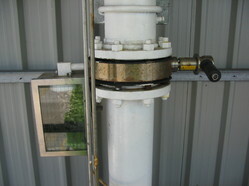 DDPS uses a modular dispensing connection on all its sampling equipment so that different dispensing options can be easily connected to the sampling system. By using this modular sample dispensing approach we can best match the type of dispensing option supplied with the minimum of cost and effort to the your specific requirements for containment and operator safety. Learn more about our range of sample dispensers.